The annual Wilks Oration provides an opportunity for the community to hear from a prominent guest speaker. These events are held in honour of Graham Wilks, a founder of the ELC. Graham Wilks was an inspirational South Australian leader and the founding secretary of the Effective Living Centre. Graham was a caring man who provided great inspiration whilst serving others. His passion for life and well-being had a far-reaching impact upon individuals and community groups alike. 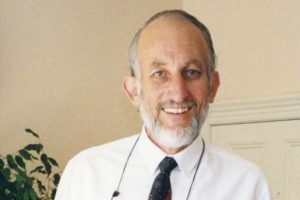 Graham worked as a Presbyterian Minister in New Zealand and as a psychologist – both of which served his passion for building healthy relationships. Graham had a deep and searching Christian spirituality, and he felt there was a need for a forum to explore and express this kind of spiritual expression outside of traditional worship. He was an innovative and respected CEO of The Marriage Guidance Council in South Australia, and shepherded its transformation to Relationships Australia. Graham was involved in the initial gathering of a small group from Christ Church Wayville and beyond who originally dreamt up the ELC concept. This group was seeking ways to create connections for South Australians seeking new expressions of Christianity, while also recognising our growing multi faith and “no faith” society. Before the creation of the ELC, Graham sadly suffered a debilitating stroke that had a huge impact on his life and his contributions to the planning group. He sadly passed away on the 16th November 2017 in Warwick. Graham was always known for being a great inspirer and mentor with a special knack for uplifting and challenging those around him. His inspirational thinking and hard work was key in the establishment of the ELC. The annual Wilks Oration was created in recognition of his substantial contribution to the foundation of the ELC and his contribution to thinking and relationship-building in South Australia. For more information about any of the following speakers and events, please contact the ELC office via email or phone (08) 8271 0329. 2017: Julian Cribb – “Surviving the 21st Century” Humanity’s greatest challenge! 2011: Event cancelled; planned speaker was Dr Tim Flannery. 2009: Event cancelled; planned speaker was Hon Michael Kirby.